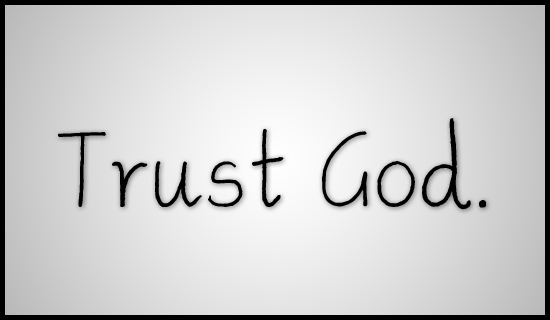 Keep trusting in Me at all times, says the LORD, for I Am trustworthy. I Am infallible. I Am consistent and dependable! Let your eyes be fixed upon ME. Believe that your household will be saved because you have believed upon Me and Made Me the LORD of your life. I will give you the desires of your heart as you stand in unwavering faith, regardless of the magnitude of the storms you face, the darkness that is all around you and the threats of the enemy. I will keep you always in My care and as you shift every burden upon Me , I will sustain you. I will carry every person, place and thing that is weighing you down as you lean on Me and link up with My easy yoke and light burden, says the LORD. I will even carry you, for My everlasting arms are never too full that I cannot handle YOU, says the LORD. Cast it now. Cast all this care upon Me as your Great SHEPHERD, that will feed you, care for you, shelter you and give you rest and peace. I created you. I created your seed, and I know where they are, and I know what they need, and I know how to get their attention, and I know what to do. TRUST ME. LEAN NOW upon My everlasting arms and let Me give you the comfort and joy and peace that you long for amid the uncertainties of this life. Nothing is beyond My reach and nothing is uncertain to ME. For I AM YOUR LIFE and it is hid in Me. I AM your hiding place, and I will give you all things that you need and answer your prayers and give you unspeakable blessings as you fully embrace WHO I AM, your UNFAILING LORD AND GOD, that does all things, and does them well for you always, says the Lord. I absolutely love the way you expressed this post Jean Reinke! Exactly what I needed today!! That I my YahuahElohim. .I love/I trust in You. Yes LORD…You do All things Well. Amen! You are my all and all my Lord ❤ You are the love of my life, my knight in shinning armour…without you I can do nothing!! Amen Lord I trust You!